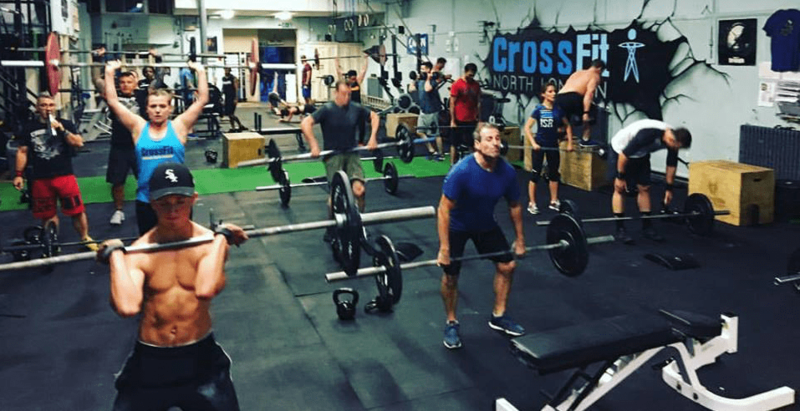 Located in Crouch End CrossFit North London is one of the largest CrossFit centres in London. Run by Gerard Andrews and Sarra Dally the gym provides the Foundation course (for those new to CrossFit), the WOD (Workout of a Day), CrossFit Olympic Weightlifting and CrossFit gymnastic and Mobility/Yoga classes. How long, in your opinion, does it take to establish a successful personal training or other fitness business? All businesses take time to establish themselves no matter what you are offering/selling. The focus should always be on providing the best service you can rather than worry about profits etc. If you do that your business will begin to flourish as people will tell their friends which is the best advertising you can get, plus it’s free! It can take 2 – 3 years before you really feel like you have your business were you want it but even then, you are always looking on making improvements and introducing new things. Fitness is all I have ever done and all I ever wanted to do. I loved sport as a kid and this carried on into adulthood, I couldn’t face sitting at a desk all day I would go nuts! What are your fitness qualifications? Pre- and post-natal fitness training. Do you think they are important? If so, which qualification do you think are the most beneficial for your career? Qualifications are very important but you have to be careful what you spend your money on as many are overpriced and don’t necessarily teach you what they advertise and then call you a ‘Master Trainer’ or something like that! I have come across many of these types of trainers and the majority are certainly not Masters of their trade. CHEK & NASM courses, in my opinion, are the best out there, they are high level and require a lot of studying but you will walk away a better Trainer. If you are wanting to coach CrossFit then you will have to get your CrossFit Level 1 qualification but from there they offer lots of great courses you can sign up to. I also recommend getting an Olympic lifting qualification as this, thanks to CrossFit getting so popular, has made this sport really popular again.Learning how to teach this correctly is essential as you can do some real damage to people otherwise. There are many good Olympic lifting courses but The Giles GreenWood one is extremely in-depth and teaches you everything you need to know including programming to get you started as a weightlifting Coach. The CrossFit Weightlifting Coach course is also very good and is only 2 days over a weekend. How do you gain new fitness knowledge? Do you try to keep up with current fitness trends? Never stop reading or listening. These days there are some great podcasts to listen to which can really help you gain knowledge on what is happening in the strength and conditioning world and many are quite light-hearted so you don’t feel like you are studying. A few I recommend are The Doc & Jock Podcast, Westside Barbell Podcast & Catalyst Athletics. Many people in fitness point at Arnold as a role model. Who was, or is, your fitness hero – the source of inspiration? I owe everything to my sports teacher Mr Wright. He was very strict and really pushed you to work hard and play lots of sport, I was always trying to get his approval, my only regret is he passed away a few years ago and I would have liked to have gone back to my school and thanked him for being such a great teacher, I am sure he would have been happy with what I am doing now. How long did it take before you were able to make a full living out of fitness? I joined a major health club chain and quickly moved up through the ranks becoming their Head Trainer within a year so I was lucky that I could make a living from fitness pretty much straight away. What would be your top tips for people starting in fitness? Join a major health club so you get a chance to work with lots of different people this will help build your confidence and more importantly build your experience so you can learn what approaches/techniques work best and when to use them etc. Find out which clubs are going to help you be a better Trainer rather than throw you on the floor then demand rent each month! Never stop learning but choose wisely as to which courses you plough your money into, there is much more out there than just what REPS has to offer! If you could start your fitness career again what would be the things you would do differently? I don’t have any regrets, to be honest, I enjoyed my early years in the Health clubs and gained valuable experience both as a Trainer but also how to run a gym and what members want. I think I have been sensible in how I have progressed and built my career/businesses (along with my wife) at a pace that was right for us,if we had any big decisions to make i.e launching CrossFit North London we did our homework, worked out what we could afford and then worked our butts off every day to try and create a training environment that suited and welcomed everyone no matter what your fitness level or experience. Last year I was asked by CrossFit to be the Trainer for an upcoming film funded by WWE starring the Dwayne The Rock Johnson. This was the first time CrossFit has provided the training for a film and to be asked to train the lead male actor was fantastic. www.CrossFitNorthLondon.co.uk or check them out on social media.